Smoking has declined in the U.S. since 1964 when the Surgeon General announced the link between smoking and lung cancer. Since that time, as reported in an LA Times news article, warning labels were required on packaging (1965), advertising cigarettes was banned on TV and radio (1971), smoking was banned on commercial airlines (1987), and tobacco was placed under the control of the FDA (2009). In present day America, smoking has become socially awkward, to say the least, and the percentage of smokers has been cut in half to 18%, per the article, although the U.S. tobacco industry is still worth half a trillion annually, as reported by the World Lung Foundation. With diminishing sales in the U.S. and other higher-income countries, the tobacco industry has been aggressively expanding into poor nations. The LA Times reports that the consumption of cigarettes tripled in developing countries between 1970 and 2000, and that the World Health Organization is predicting one billion deaths caused by smoking this century, with 80% of those fatalities in developing countries. As covered in an Action on Smoking and Health (ASH) fact sheet, large, multinational corporations based in the U.S. and the U.K. are primarily responsible for the spread of the smoking habit in developing countries because of the sophisticated and effective advertising and promotional methods they employ. Asian countries have been a major target. According to ASH, the U.S. threatened trade sanctions against Japan, Thailand, South Korea, and Taiwan during the 1980s unless these countries opened their markets to American cigarettes. They succumbed, but Thailand was later able to ban cigarette advertising under a General Agreement on Tariffs and Trade (GATT) ruling. In low income Egyptian households, tobacco accounts for more than 10% of household expenditures. 10.5 million malnourished people in Bangladesh could have adequate diets if they spent their money on food instead of tobacco. Many homeless people in India spend more on tobacco than food. Smokers spend 17% of their household income and 60% of their personal income on cigarettes in the Minhang district of China. The LA Times article says that the U.S. should help developing countries build programs to tax and regulate tobacco products, and warn against the dangers of smoking. The article claims that aid at a modest cost to the U.S. could go a long way toward putting these programs in place and reducing tobacco use in developing countries. 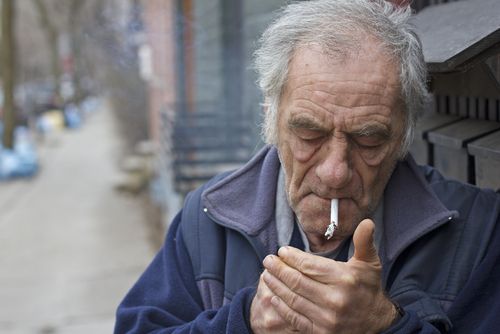 Be the first to comment on "Courting New Smokers – Disparity between Poor and Rich Nations"